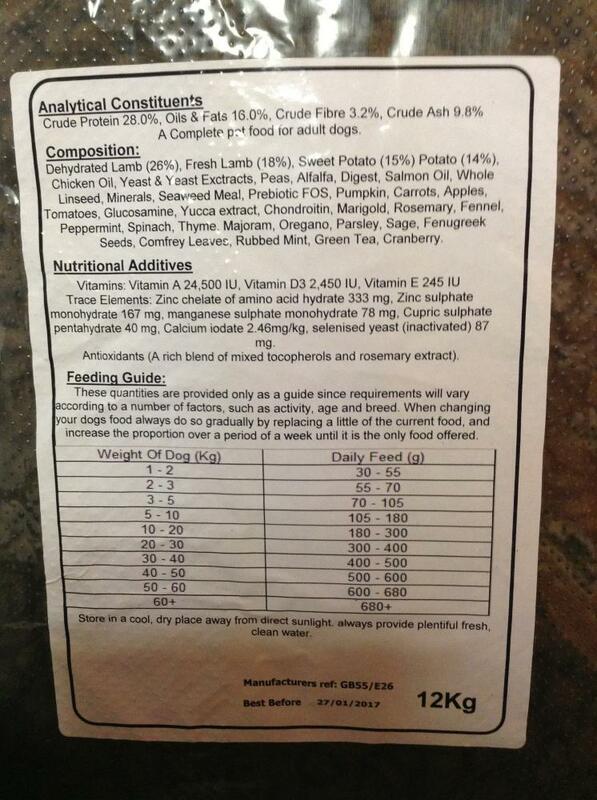 A meat based dog food naturally contains less carbs than grain based dog foods. 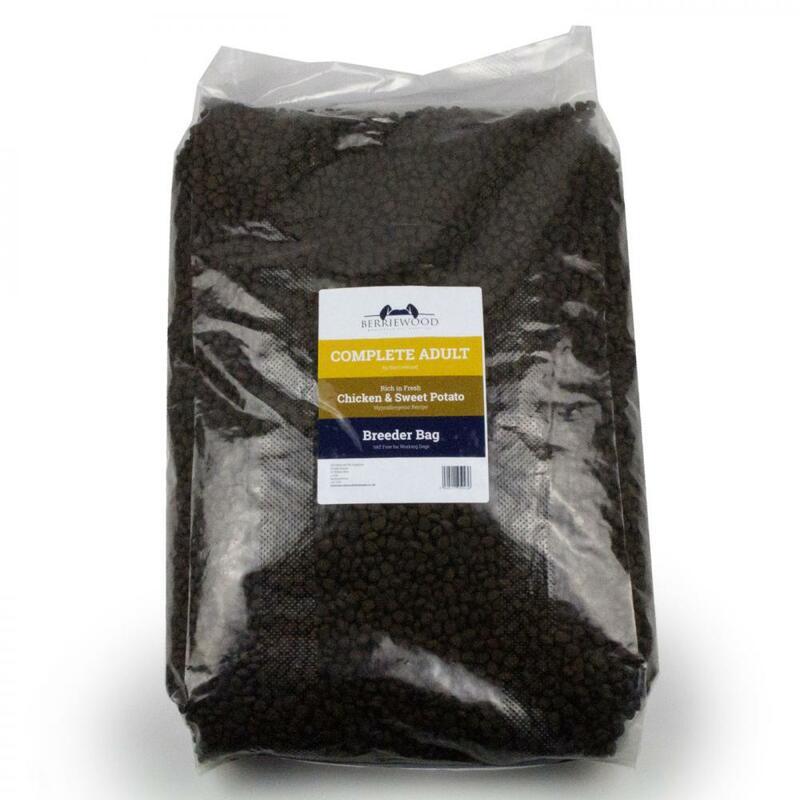 Berriewood Grain Free dog foods replace the grain with sweet potato and green peas. The high meat, lower carb recipes come closer to your dog's natural diet and a grain free, high meat recipe is naturally more nutritious so you can feed less. Trace Elements: Zinc chelate of amino acid hydrate 333 mg, Zinc sulphate monohydrate 167 mg, Manganese sulphate monohydrate 78 mg, Cupric sulphate pentahydrate 40mg, Calcium iodate 2.46 mg/kg, Selenised yeast (inactivated) 87 mg.
Dehydrated Lamb (26%), Fresh Lamb (18%), Sweet Potato (15%), Potato (14%), Chicken Oil, Yeast & Yeast Extracts, Peas, Alfalfa, Digest, Salmon Oil, Whole Linseed, Minerals, Seaweed Meal, Prebiotic FOS, Pumpkin, Carrots, Apples, Tomatoes, Glucosamine, Yucca extract, Chondroitin, Marigold, Rosemary, Fennel, Peppermint, Spinach, Thyme, Marjoram, Oregano, Parsley, Sage, Fenugreek Seeds, Comfrey Leaves, Rubbed Mint, Green Tea, Cranberry. 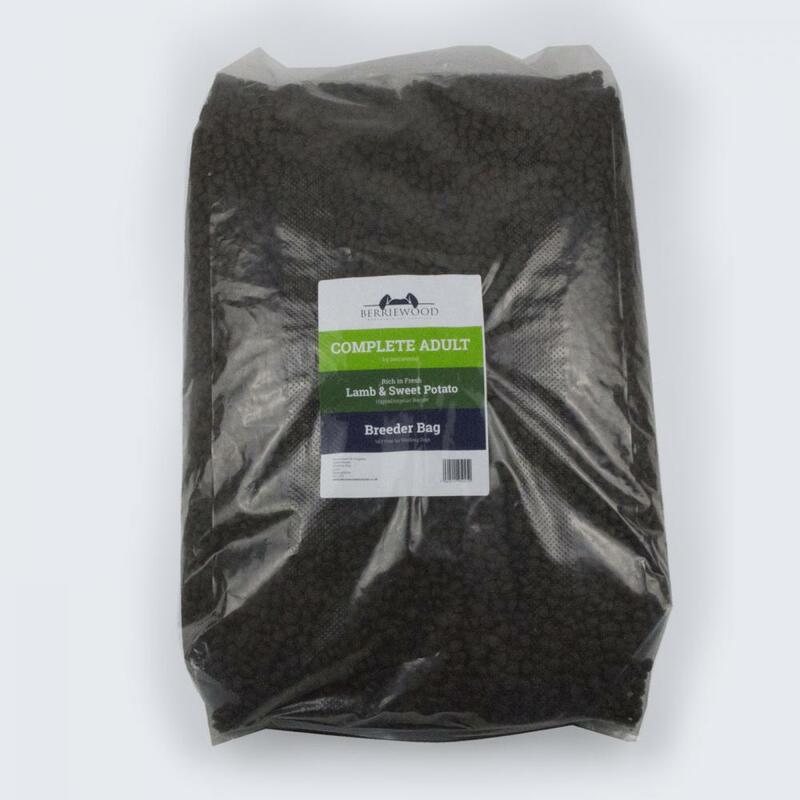 Trace Elements: Zinc chelate of amino acid hydrate 333 mg, Zinc sulphate monohydrate 167 mg, Manganese sulphate monohydrate 78 mg , Cupric sulphate pentahydrate 40 mg, Calcium iodate 2.46 mg/kg, Selenised yeast (inactivated) 87 mg. 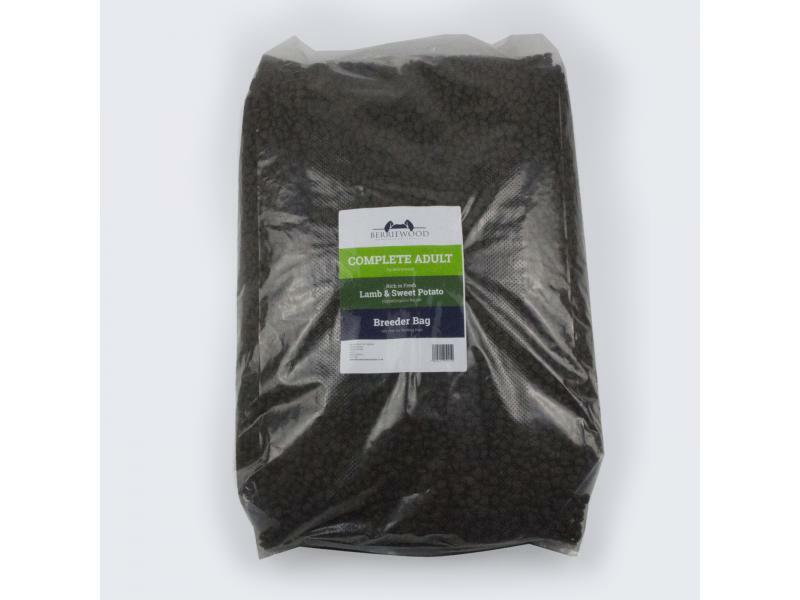 These quantities are provided only as a guide since requirements will vary according to a number of factors, such as activity, age and breed. 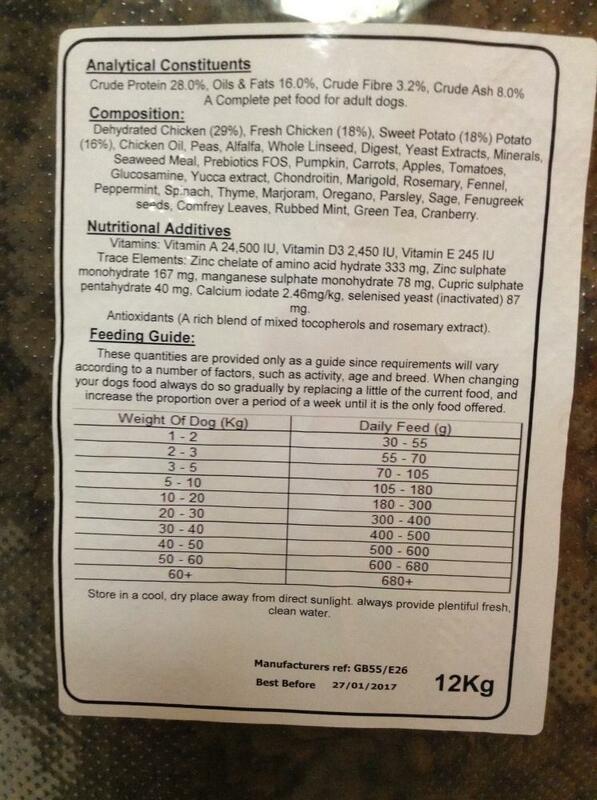 When changing your dogs food always do so gradually by replacing a little of the current food, and increase the proportion over a period until it is the only food offered. 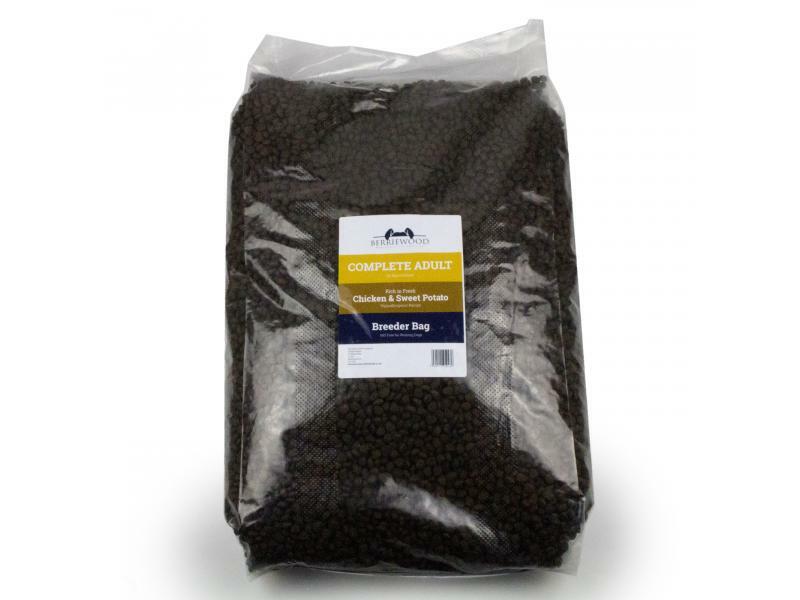 There are currently no questions for Berriewood Complete Grain Free Breeder Pack Dog Food - be the first to ask one!